3-D face recognition research has received significant attention in the past two decades because of the rapid development in imaging technology and ever increasing security demand of modern society. One of its challenges is to cope with non-rigid deformation among faces, which is often caused by the changes of appearance and facial expression. Popular solutions to deal with this problem are to detect the deformable parts of the face and exclude them, or to represent a face in terms of sparse signature points, curves or patterns that are invariant to deformation. Such approaches, however, may lead to loss of information which is important for classification. In this paper, we propose a new geodesic-map representation with statistical shape modelling for handling the non-rigid deformation challenge in face recognition. The proposed representation captures all geometrical information from the entire 3-D face and provides a compact and expression-free map that preserves intrinsic geometrical information. 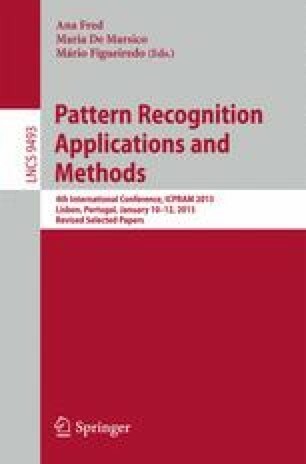 As a result, the search for dense points correspondence in the face recognition task can be speeded up by using a simple image-based method instead of time-consuming, recursive closest distance search in 3-D space. An experimental investigation was conducted on 3-D face scans using publicly available databases and compared with the benchmark approaches. The experimental results demonstrate that the proposed scheme provides a highly competitive new solution for 3-D face recognition.